The more MMORPGs I look at, the more I realise that so many of them are in one way or another influenced by Ancient Mythologies. Whether its greek mythology or ancient Chinese, Japanese or Korean Mythologies. 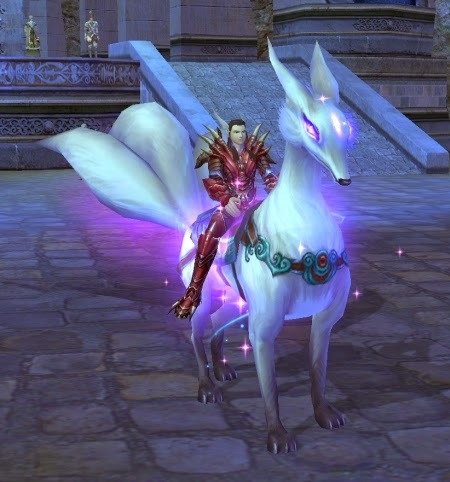 Such as the famous Nine tailed fox, which has made many appearances in MMORPGs, video games and cartoons such as Pokemon, Naruto and League of Legends. Other mythology influences involve names of various greek gods for boss monsters or weapons. Mythologies play a large part in some storylines as well. MMORPGs such as Ragnarok which is named after Ragnarok in Norse mythology or Gaia online which is named after the godess Gaia in the Greek mythology. The amount of references to these mythologies are endless, which goes to show that these mythologies are more relevant today than it may appear. And usually the names of Gods from these mythologies are given to things of high importance.